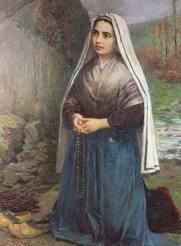 On Fridays a child from each year group is nominated by staff members to be the weekly Spirit of St Bernadette. Children are nominated for living our Mission Statement, demonstrating our School Values and providing a good role model for the rest of the school community. It is a great honour to be nominated. At lunchtime on the following Monday, all of the Spirits of St Bernadette join a member of the Senior Leadership Team for lunch at the specially prepared 'posh table' in the dining hall.